A University of Saskatchewan PhD student wants to change how people use menus on touchscreen devices. 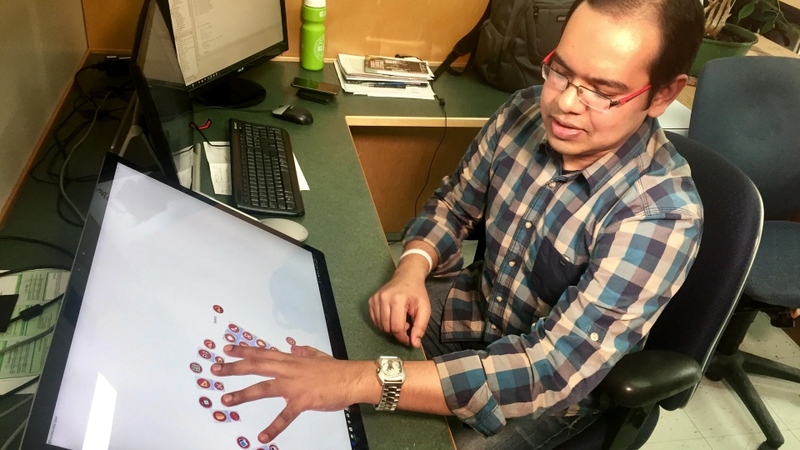 Traditionally, touchscreens are used with one finger, but Mohammad Sami Uddin is developing a touch menu using all 10 fingers, called HandMark. 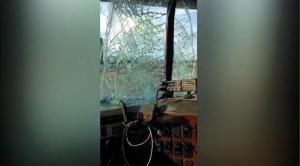 “If we can use all the fingers, it will be easier and that’s what we found in our technique,” Uddin told CTV News. To use HandMark, users lay their fingers flat on the touchscreen. Then, 21 commands pop up around the five fingers. Uddin has tested how accurate and quick the new interface is with 13 users. “Our users were about 30 per cent faster using our technique compared to standard technique out there,” Uddin said. The new model is set to be used for large-screen devices and programs such as Photoshop. “If you have to edit 50 images in Photoshop and you have to do 16 actions for every time you want to do something in that picture. It's going to take you forever,” Carl Gutwin, Uddin’s supervisor, said. Uddin said he plans on conducting more research and playing with different designs before HandMark goes to market – which he said he hopes will be in about two years.